This entry was tagged Famous first words, Joan Aiken Early Work, The Wolves of Willoughby Chase. Bookmark the permalink. Could she take out the wolves?!!! Heavens to Betsy. Any ones called Bashful, Dopey, Sleepy. Keep the rest in. Especially Grumpy. What, the wolves didn’t have names? I must read this again, and soon! 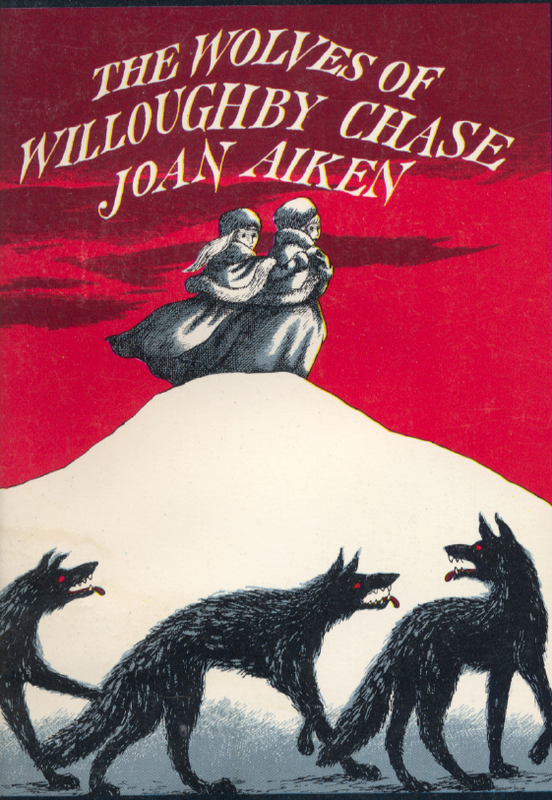 The convoluted genesis of Joan Aiken’s The Wolves of Willoughby Chase. Thanks Chris, it’s another good Aiken story isn’t it! And a true one too! Well, as much as her fiction, which always was in essence true. I was in my mid-50s when I first read The Wolves of Willoughby Chase. I bought the book because I remembered the title from my childhood. I’m not sure whether I’d seen something about it on TV, or at school and the title had stuck in my memory for decades. I’d never known about the subsequent books, but after finding and reading Black Hearts in Battersea I quickly bought all of the others to follow the continuing stories. And of course, in the process, I easily fell for Dido Twite.. Thank you for your story. I strongly feel Joan Aiken wrote for everyone, of every age, and that through Dido Twite she expressed her love for the world and its wonders, along with her frustration about the ways of its inhabitants. This was one of my favourite books growing up- the scariness of the wolves is what makes it so brilliant. It is lovely to hear the story behind the book, although it is sad to hear about how difficult Aiken’s life was. It reminds me a bit of L M Montgomery’s story, which makes it sound like her work was a means of escape. Interesting, I would love to read more about her…another favourite author!